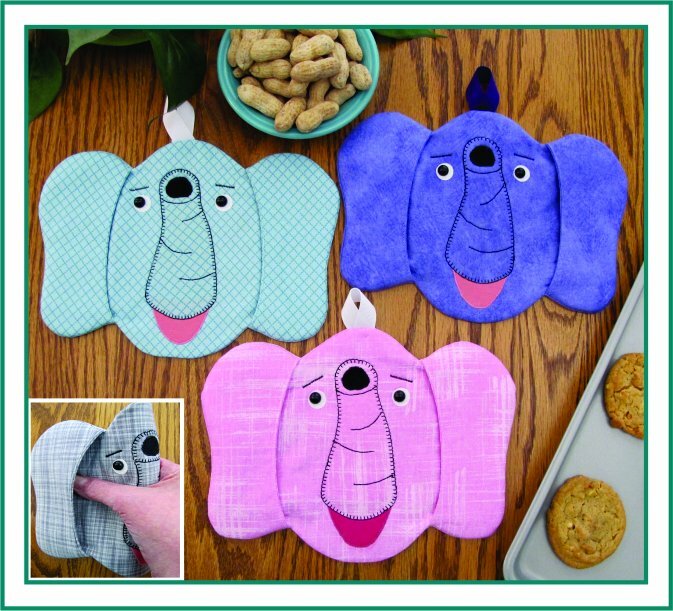 This cute Baby Elephant Pot Grabber “Peanut” reminds me of an Elephant pot holder my Grandmother had! With our Peanut, your fingers go into the ears to grab hot items from the stove, oven or microwave. 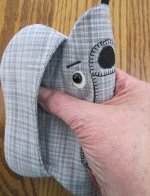 Includes pattern pieces and instructions to sew up this Pot Grabber! Approximate finished size 10” x 8”.